The first few years of your child’s life are some of the most important. They will go from helpless bundles of joy to walking, talking toddlers. They will become curious about the world, ask questions nonstop, and learn through exploration. Before your very eyes, your kiddo will grow, develop, and learn. Before they reach kindergarten, they will learn so many different things. They will develop different skills that they will carry through the rest of their life. The first few years will help prepare them for the rest of their academic career, starting with kindergarten. 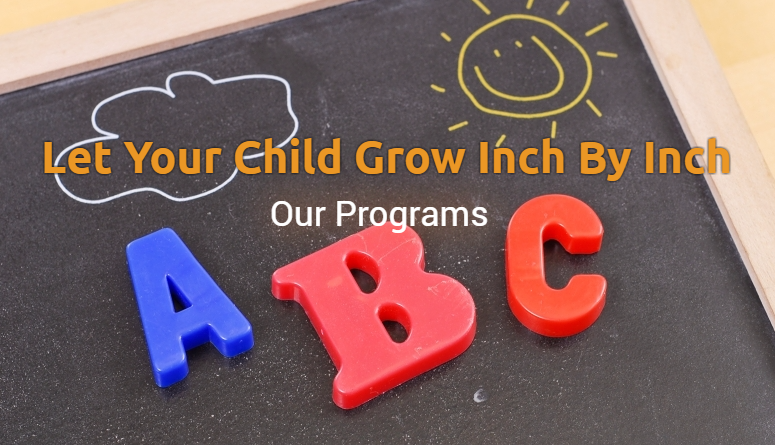 At Inch By Inch Child Care in Bedford, your children will learn everything they need to before they reach the beginning of their school careers. 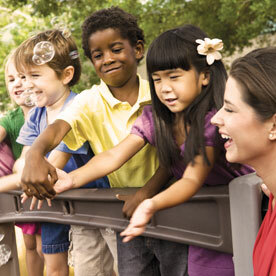 Our child care programs include infants, toddlers, and a preschool and pre-k program, which will allow your children to grow, develop, and prepare for kindergarten. 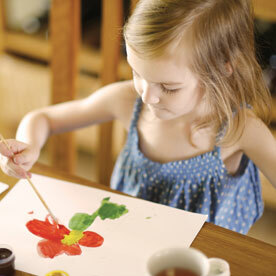 As your child reaches that age, you may ask yourself if they are ready for kindergarten. What should they know? What should they be able to do? What should you practice with them at home? In this blog, we will answer all of those questions! Read on and help get your kiddo prepared for the next step in their development. Remember, every child is different and develops and learns at their own pace. These skills and abilities are not written in stone. These are simply general guidelines to help you know if your child is learning at the right pace. Before children learn to talk, they often express themselves by pointing at what they want, crying, and making other babbling sounds. But when your child reaches kindergarten, they should be able to use their words to communicate what they want and need. Teach your child use words to express themselves and ask for things. If you are at the toy store, have them ask an employee where the toy they are looking for is in the store. This will help get them comfortable talking to strangers and learn how to ask for what they want. In a classroom, this is important for them to be able to do. By the time your child starts the next step in their school career, they should be able to play and get along with other children well. They should be able to play nicely with other children without the need for supervision. 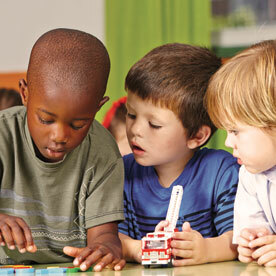 Schedule play dates with other children to give your kiddo more time playing with others. Teach them how to share, play nicely, and be fair while playing. The more your child plays with others, the more they will be able to practice this! Your kiddo will become more and more independent every year. It may be scary, but you have to allow them to be independent and make their own decisions. They should be able to act independently and test out new ideas. This is especially beneficial when they are exploring their curiosities. Allow them to test their ideas and learn more of them. At the same time, however, children this age should know the difference between right and wrong. They should understand that there are consequences for their actions and rules that they need to follow, especially in a classroom. Teach your kiddo how to respect others, whether they are the teacher or another child and help them understand how to determine what is right and wrong in different situations. 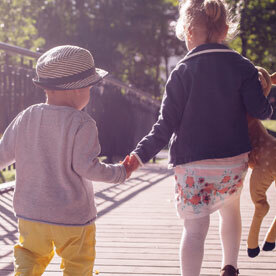 Separation anxiety is common for young children, but by the time your kiddo reaches kindergarten, they should be able to separate from you without having a breakdown. The first day of school can be hard for the little ones, but it should be easier as they get older than it was the first time you dropped them off at daycare. 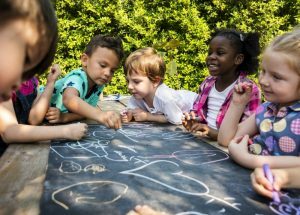 Enrolling your child in a daycare or preschool before they reach kindergarten is a good way to help them get used to separating from you. Along with different social skills, your child should have different academic skills in order to be prepared for kindergarten. This includes skills in reading, writing, math, and other areas. Don’t worry, your child will most likely not be able to read, unless they are ahead of the game, but they still should have some reading skills. 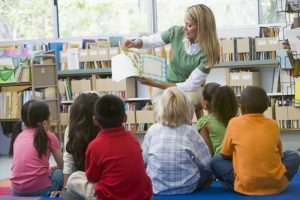 This includes things such as enjoying stories being read to them, understanding how to handle a book, know most of the alphabet, understand when words rhyme, and begin to connect sounds to letters. Read to your child and have them follow along with their finger. They should be able to start recognizing different words and sounds. Reading with your kiddo is the best way to help them learn to read. Again, your child will likely not be writing full sentences. But at this age, they should be able to correctly use a pencil or crayon and write some letters. This is the stage when their “K” is backward and some letters are questionable, but they are still learning! Work with your kiddo to write their name. This should be one thing that they are able to write when they get to kindergarten. Help them practice writing numbers and letters, both lowercase and uppercase. Working with your child on these skills can be simple. Have them count different items throughout the day. While they eat a snack, break them into little piles and have them count each pile. Have your child trace shapes with a crayon. All of these things can help them better develop these skills. These are some of the main skills that your child should know, or be working on, as they get ready to enter kindergarten. Working with them at home is a great way to improve their readiness. Work with your child by reading with them, having them count items throughout the day, and working on spelling together. These are simple ways to help your child prepare for kindergarten. Another thing you can do is enroll them at Inch By Inch Child Care in Bedford. We will teach your child everything they need to know before they head off to kindergarten. 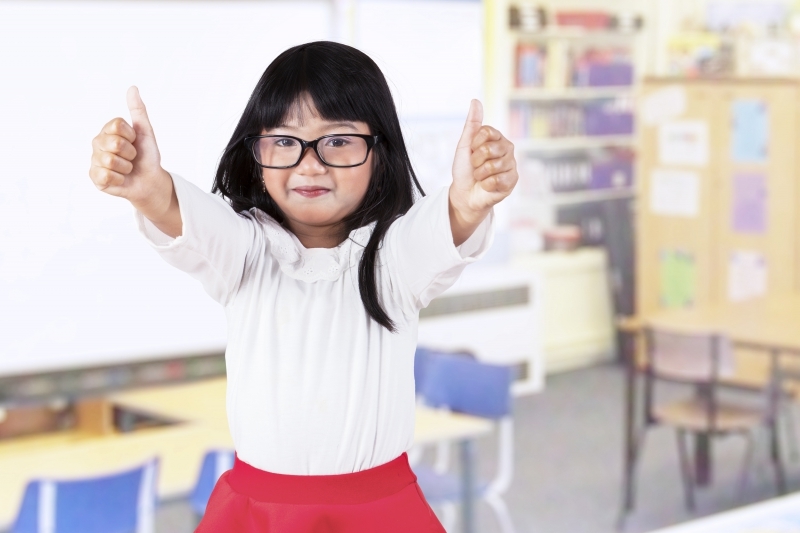 Whether your child is starting kindergarten next year or in a few years, start working with them now! It never hurts to start early. Schedule a tour at Inch By Inch today to get started. Together, we can work together to help your child get kindergarten ready and help them prepare for the rest of their academic career!